Rapper Slick Rick was pardoned by NY Governor David Paterson. The UK born rapper faced deportation since 2002. The governor's pardon should halt these efforts and allow Slick Rick to stay in the country. 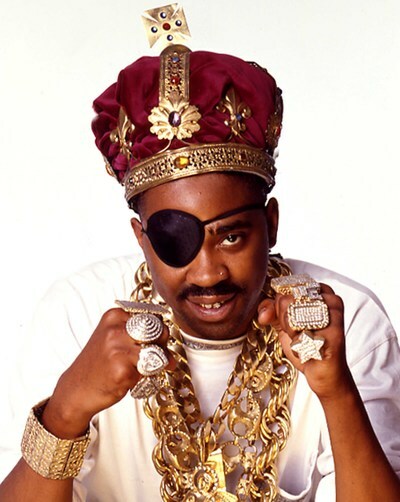 Rap icon Slick Rick has been fighting deportation by the Federal Immigration Court for years and today, the 43-your-old rapper might have scored a victory in the matter, as New York Governor David A. Paterson issued the Hip-Hop pioneer an official pardon. Born Ricky Walters in the United Kingdom, Rick's immigration troubles stem from a1991 conviction on two counts of attempted murder and weapons offenses. A federal statute requires resident aliens to be removed from the country upon conviction of an aggravated felony or a weapon offense. Rick came to the U.S. at age 11 and was raised in the Bronx, New York. In 1991 Slick Rick shot his cousin and an innocent bystander in response to what he claims were death threats from his family member. The cousin and the bystander both survived the incident and Rick, then 25 years old, plead guilty to attempted murder and weapons charges. He served just over five years in prison and was released in 1997.